The Carlton Kinesis X90 has an optimetric head shape delivering great airspeed and control. It is head heavy balanced for more power, stability and spin, and offers the Japanese HM Carbon construction resulting in excellent response and stability. The racket weighs 86g (3.0oz) and utilises the Bi Axial Dynamics frame profile. 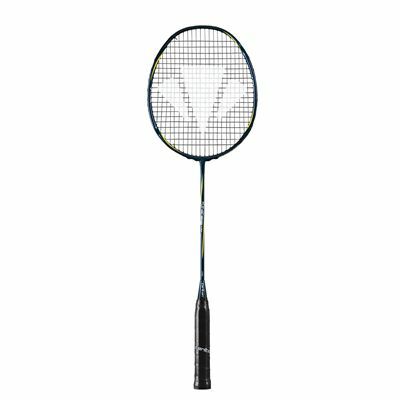 The Vortex Geometry increases the racket head speed and manoeuvrability, whereas the Ultra-lite Cap ensures enhanced playability. 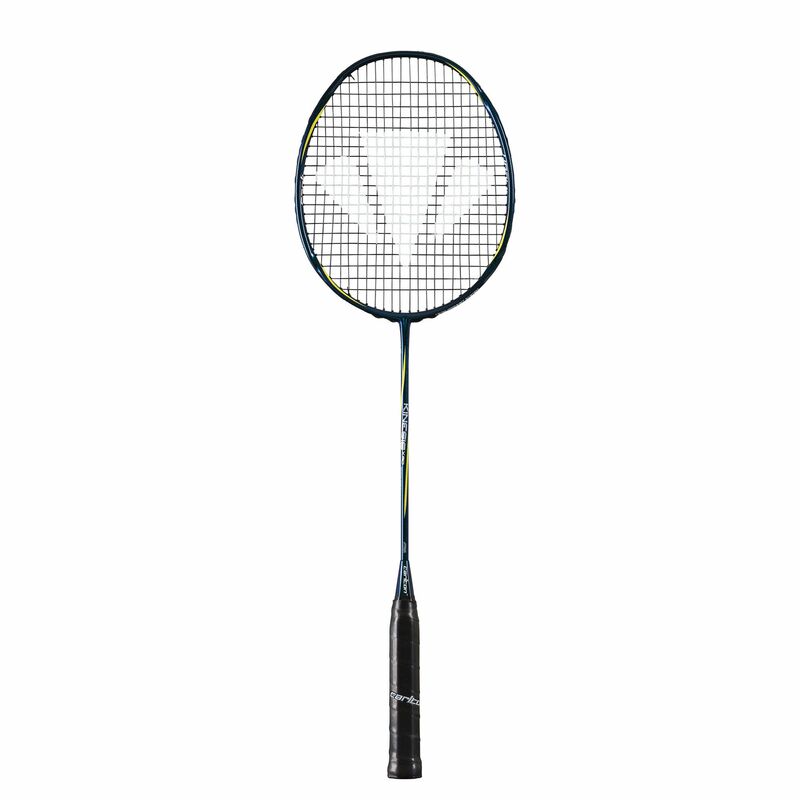 The X90 is equipped with the Xtreme Tension frame thanks to which the frame can accommodate 11% higher string tensions compared with conventional rackets. In addition, it features the Micro Grommet System to provide more touch and control. for submitting product review about Carlton Kinesis X90 Badminton Racket.